You may not want to think about it, but it is possible you may experience an injury caused by an accident at some point in your life. While some accidents are nobody’s fault, there are many other accidents that are the result of the negligence of a person or a company. In these cases, the responsible party should be forced to pay for your medical expenses and the money you lose from not being able to work. In order to ensure that you get the financial settlement you deserve, it is necessary for you to hire a competent accident lawyer, such as the ones who work for HSH lawyers. 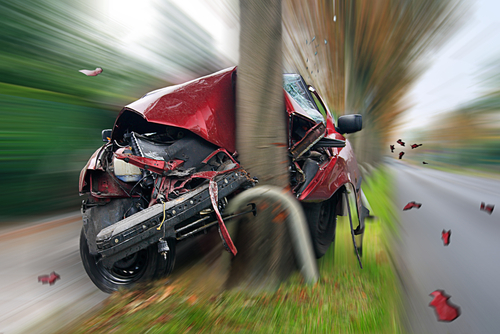 Here are a few reasons why your accident lawyer can make all the difference. Most accident lawyers choose this profession because they want to stand up for the little guy. They are well aware of how the insurance industry works. Insurance providers are publicly traded companies that exist to make a profit, not to help their customers. These companies have a fiduciary responsibility to their shareholders to raise the value of their stock. The easiest way to do this is to pay out as little as possible in claims. You pay for your insurance every month. When the day comes that you get injured and you finally need to file a car accident claim, there is a good chance they will not treat you fairly. This is when having an experienced accident lawyer is so important. They can fight for your rights and force the insurance company to pay you a fair settlement. Insurance companies are very large. This means they have the massive financial resources at their disposal to hire a huge legal team to fight your claim in court. An accident lawyer who has dealt with many cases before will know all of the tricks that insurance companies frequently use. This will allow your lawyer to strategize and assemble the strongest case possible using all the facts of your accident. You can bet the insurance company’s legal team is going to be prepared, so it is important that your lawyer has the skills to combat any tactic your insurance provider uses to get out of paying a reasonable settlement. The best accident lawyers not only have great legal skills in the courtroom, they are also good people who care about the clients they are representing. An good accident lawyer will consider you a friend, not just a client. Because of this, the lawyer will do his or her best to help get you through what is undoubtedly a stressful situation. Most people are not used to going to court and fighting for money that is rightfully owed to them by a giant company. For many people, the stress of this ordeal can be a bit overwhelming. An accident lawyer can comfort his or her client, assuring them that everything is under control. There may be times during your case where you will need to make critical decisions that will drastically impact its outcome. It is at these times when getting solid legal advice is so important. Your accident lawyer will advise you based on his or her experience. I like your advice about choosing a lawyer that cares about my needs. Whenever I hire a lawyer, I try to compare two or three different ones. This way, I can find one that will help me get the desired results. I like the emphasis to look at the lawyer’s team. Many times paralegals are used to do research and assist with the case in other ways. While it is important to ensure that the lawyer taking the lead on your case meets your standard, I agree with the article that evaluating the team is great advice. This would help me feel that everything is under control. I hadn’t ever really thought about how a personal injury attorney could act as a valuable support system before, but it does make a lot of sense. After all, they will have helped out many people who have had similar accident related injuries such as yourself. They can make sure you get the right help you need and know how to fight your case in the best way possible to make sure that you can win.